Check out my Vibrational Astrology Article in Career Astrologer Magazine! Ever wonder what the heck vibrational astrology is? 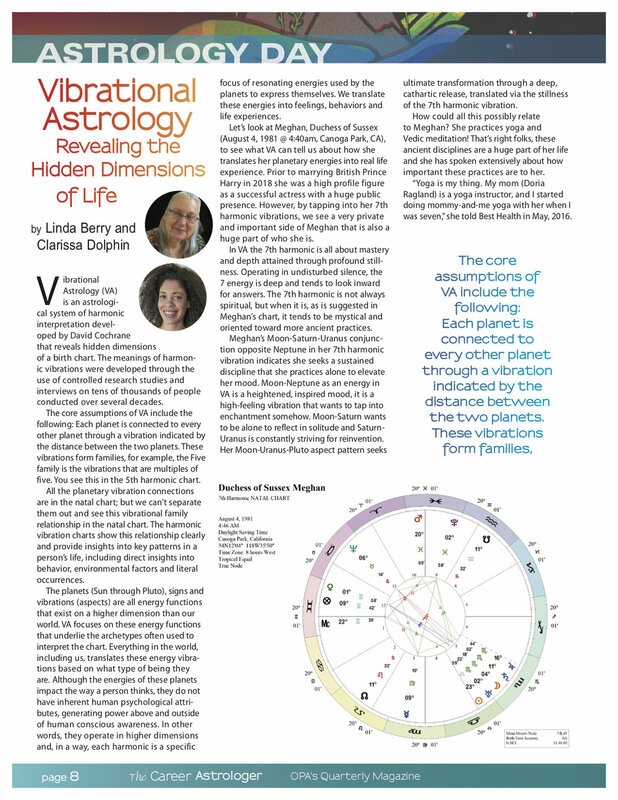 I had the privilege of teaming up with Linda Berry at Astrosleuth to explain our madness in The Career Astrologer magazine. Go ahead, have a read! Come meet me at the Vibrational Astrology Conference in Gainesville, Florida! I’ll be offering 15-minute mini-readings to Vibrational Astrology Conference 2019 attendees. Excited to read your chart live in the flesh!